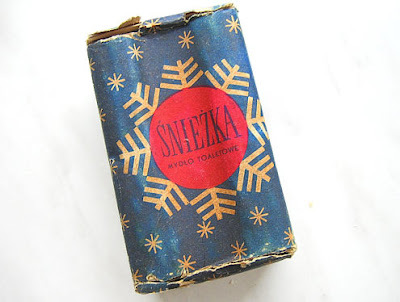 I FOUND THIS WONDERFUL COLLECTION OF EUROPEAN VINTAGE SOAP LABELS VIA MY FRIENDS at Coudal Partners. You can see more of them here. 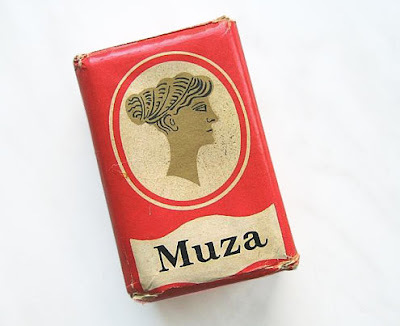 Many of these are really wonderful and very applicable to current day design styles. wow -- just too cool ! 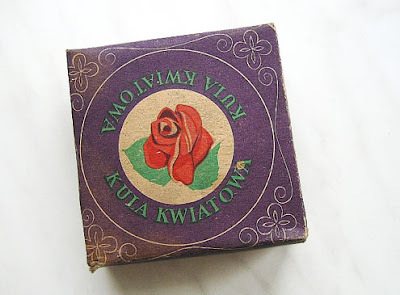 Actually, they are not only European, but also Polish. Worth mentioning, I think. 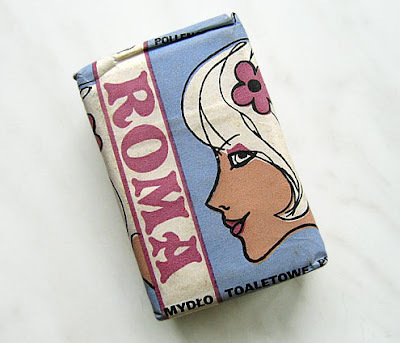 I think my favorite one was the Roma package. The woman is pretty. 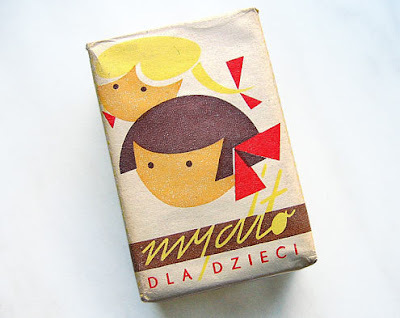 My second favorite is the Balbinka package, with the girl-duck washing in the tub. Weird. 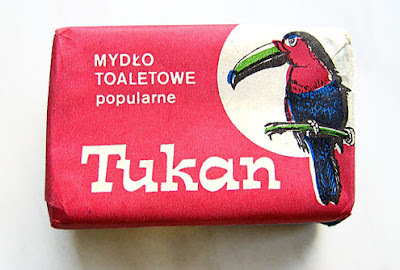 I also love "Tukan" soap. Toucan Sam's first job, maybe. 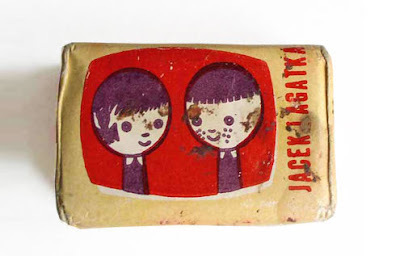 And I like the soap with the two purple-line-drawn children who look like they're in a TV screen. Lovely post. 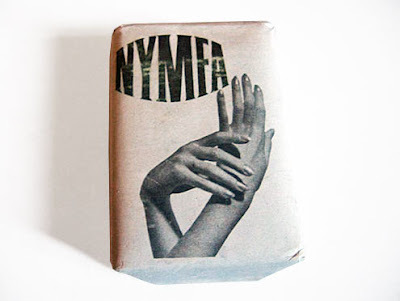 The children's soap packages are particularly charming. 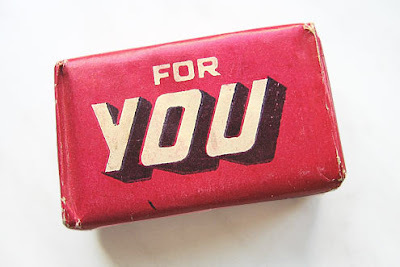 mmmmm....jabones retro.......me encanta este lugar, está poblado de recursos para disfrutar con los 5 sentidos. 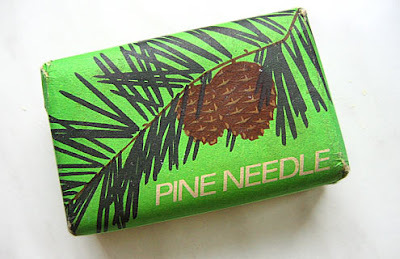 Yes, those are Polish, except maybe "Pine needle" and "Nymfa" - not sure about those, don't remmber them. 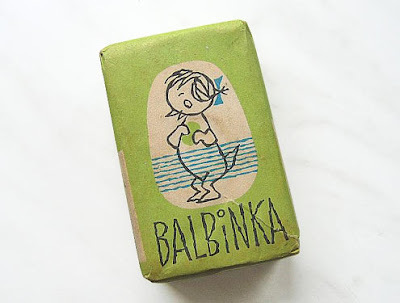 "Balbinka" was a child girl-goose from a children TV show, as were Jacek and Agatka. 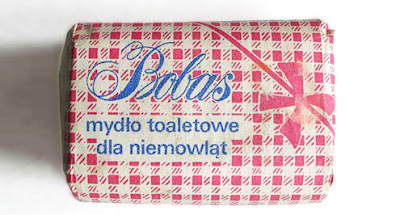 These are all Polish by the way.